According to the privacy filter manufacturing protocol, all kind of privacy filter are the same, during the darker environment, adjust the screen brightness, performance will be better. ●Screen will be completely black when viewed from left or right at specific degree angle. During the busy life, whether it has felt the activity space increasingly crowded? In public places, office, when you use the laptop, whether there are always several eyes staring at your screen, spy on your valuable privacy? 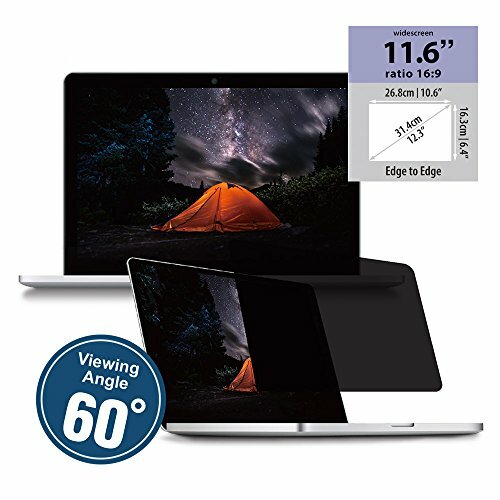 This product uses a unique technical process, 60 degrees viewing angle, only you can see the information on the screen clearly, while other people on your both side only can see the dark screen. Can fully protect personal data, to avoid privacy leaks. Easy to install, can be easily take off, absolute convenience to use. If you have any questions about this product by KAEMPFER, contact us by completing and submitting the form below. If you are looking for a specif part number, please include it with your message.